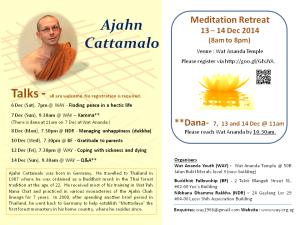 Ajahn Cattamalo is back again this year and will conducting a weekend retreat in Dec.
Costs – FOC. Donations are welcomed to defray the costs of running the retreat. 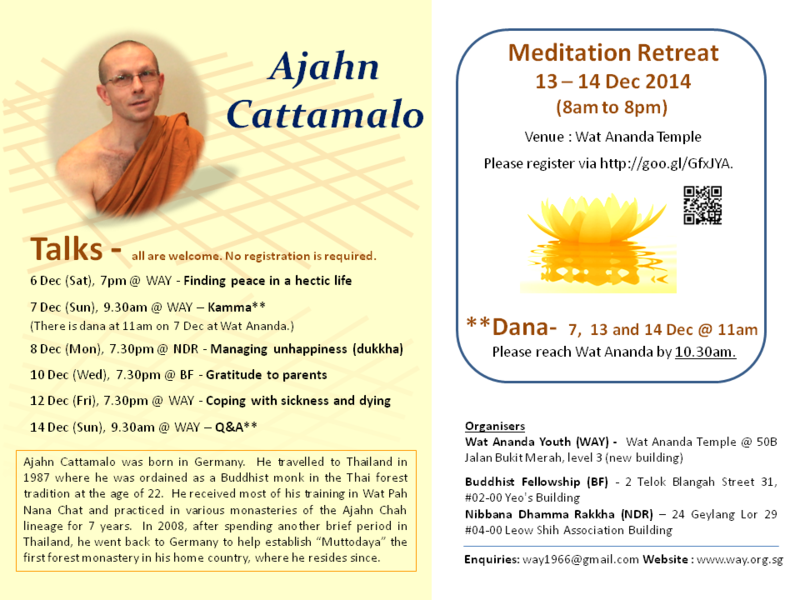 Dana – If you wish to offer dana to Ajahn, please reach before 10.45am. 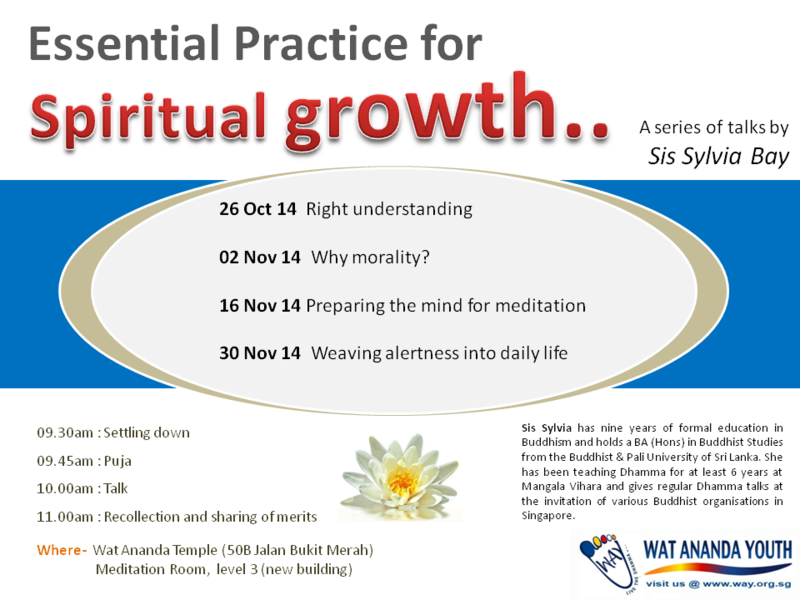 This entry was posted in Forest Way, Sunday Morning Service (SMS) and tagged Ajahn Cattamalo, Dhamma talk, Meditation, SMS, Sunday Service on October 27, 2014 by wayadmin. 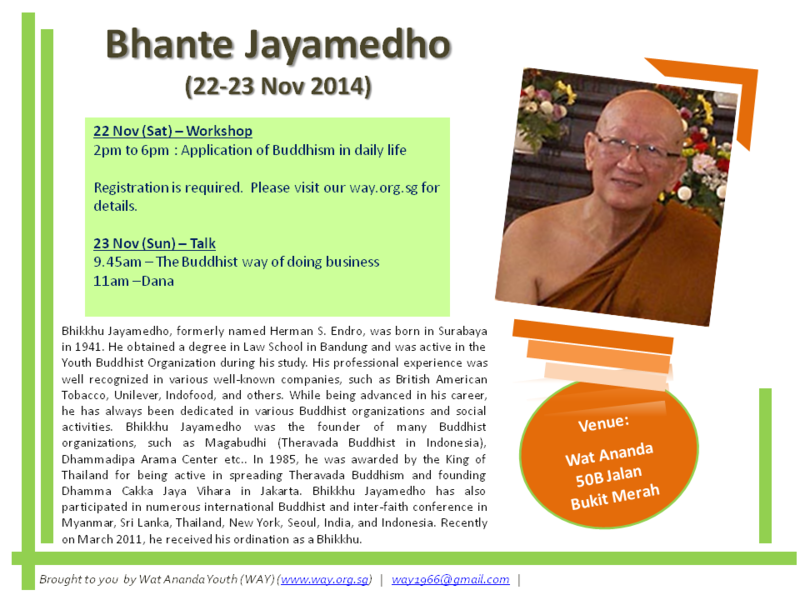 Bhante Jayamedho will be conducting a workshop on 22 Nov and giving a talk on 23 Nov.
Dana will be at 11am. This entry was posted in Forest Way on October 27, 2014 by wayadmin. A 4-part talk series by Sis Sylvia during our Sun Morning Service (SMS). 02 Nov 14 Why morality? 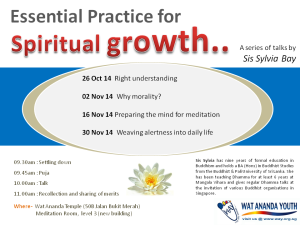 This entry was posted in Sunday Morning Service (SMS) and tagged Dhamma talk, SMS, Sunday Service on October 7, 2014 by wayadmin.